A Winter Adventure with a 130mm f/5 Newtonian. 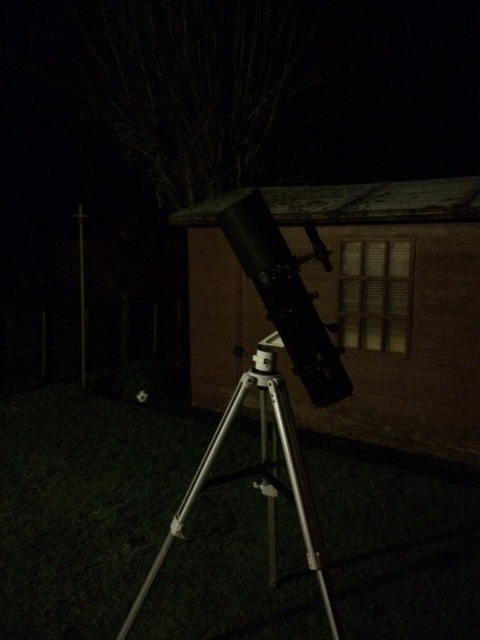 Plotina; the author’s 130mm f/5 Newtonian doing its stuff under a Christmas sky. With the Christmas holidays now upon us, we were lucky enough to enjoy a beautiful winter day, with clear blue skies illumined by a feeble Sun. This time of year, darkness falls very early, well before supper time, and as luck would have it, the sky remained clear after dark. I decided to field my trusty 130mm f/5 reflector, mounting the telescope on an old Vixen Porta II mount at about 4.00pm local time, and let it cool down to ambient temperatures, which had already reached 0 C by sunset. Accompanying the telescope was a 8 x 42 roof prism binocular, used for finding fainter objects more quickly than with the telescope and its finder alone. The cold weather was never a concern though; afterall, the telescope has strutted its stuff many times in sub-zero temperatures, as I’ve described in many previous blogs. At 4.45pm I began my observations with a look at the Red Planet, Mars, which by now had greatly receded from the Earth, but at least had now reached a very decent altitude in the south. Inserting a Parks Gold 7.5mm eyepiece coupled to a Meade 3x achromatic Barlow lens yielding a power of 260 diameters, I was greeted by a tiny little salmon-pink orb, quite obviously gibbous in cast, with a few dark markings visible across its surface. The view was good and steady and very satisfying given the great distance to which it had receded to since its glory days during the summer, when the planet swelled to an enormous size as seen through the same telescope. But what I was really after this evening was a suite of double stars, my staple observational targets for many years now. Having abandoned small refractors and Maksutovs for the greater efficacy of the 5.1 inch Newtonian reflector, I turned the instrument on Epsilon 1 & 2 Lyrae, a summer favourite, but still suitably placed for observation in the early evenings of December. Keeping the same eyepiece and Barlow in the focuser, I obtained a wonderful, text-book perfect split of all four components. And though I had seen such an apparition more times than I care to remember, it still brought a broad smile to my face to see these old friends in a Christmas sky. From there, I moved over to Delta Cygni, a much better test of atmospheric turbulence than the four stars of Epsilon Lyrae. Carfeully centring and focusing the bright white luminary, I obtained an excellent and stable image of the faint, close-in companion at 260x. It was at that point I knew that conditions were good enough to attempt the trickier targets that were lining up in the sky. Moving the telescope further west, I could see bright Altair, so I tried my hands at the difficult and faint Pi Aquliae nearby, which I first reconnoitred with the 8 x42, before centring it in the 6 x 30 finder ‘scope of the main telescope. Keeping the power at 260x, I achieved a reasonable split of these fairly closely matched components but I could see that it was noticeably inferior to how it looked in the late summer and early autumn, when it was higher up in southern skies. Still, I was well chuffed to have bagged this system so late in the season. Moving several degrees east into the diminutive but lovely constellation of Delphinus, I immediately aimed for the jewel of the celestial Dolphin; Gamma Delphini. The 5.1″ reflector made light work of this easy but fetching double star which was best seen at 118x using my Meade 5.5mm Ultra-wide angle eyepiece. From there, I sped over to Cygnus again and quickly located the multiple star, o^1 Cygni using the 8 x 42. Training the telescope on the system brought another huge smile to my face, as the beautiful and wide colour constrast triple system came to a perfect focus, their tiny Airy disks and faint first diffraction rings calmly presenting themselves in the frigid air. After that, I panned the telescope eastward until I centred Almach (Gamma Andromedae) in the 118x eyepiece and was greeted with a beautiful split of this comely, colour-contrast double star. Even after all these years of observing it, it never ceases to inspire me! “That was easy,” I said to myself, ” but let’s have a go at a much more tricky system.” With that thought I trained my binocular at a patch of sky in eastern Cygnus, specificially looking for a faint pair of stars, the brighter of which was Mu Cygni. Quickly aligning the telescope on the same patch of sky, I inserted the 260x eyepiece-Barlow combination described earlier and carefully focused. Voila! There it was; a wonderful text-book perfect split of this very close binary system, with the wider, fainter star visible in the same field comprising the triple. Finally, I visited the endlessly lovely Albireo, now fairly low in the western sky. Needless to say, it was a sight for sore eyes. It’s true; some of the most beautiful objects in the night sky are the easiest to access! So far, so good. I took a break for a few hours, enjoying a good, traditional Christmas roast with my family, keeping the telescope in an unheated outhouse all the while, so as to allow me to quickly engage with the night sky. Beginning again around 10:15pm, with the bright Moon having risen in the sky and the temperatures having dropped to -2C, I started in Orion, which at the time of observation, had still not culiminated in the south. Hoping for a continuation of the steady skies experienced earlier in the evening, I trained the 130mm Newtonian on mighty Rigel. 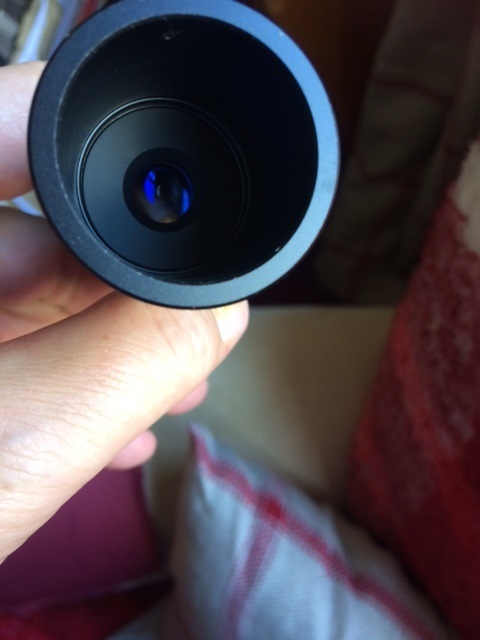 Slightly anxious, I carefully focused the bright white luminary in the 118x eyepiece and was relieved to see that the primary Airy disc was small, round and virtually free of turbulence. And there beside it was the tiny spark from its feeble, close-in companion. It was a beguiling sight! From there I moved a wee bit to the northeast and centred Eta Orionis.This is a more difficult pair to resolve and so requires higher powers to tease apart. But at 260x it was easy; the two stars, plain white to my eye, appeared roughly east to west in orientation. By now, mighty Auriga, the Charioteer, had risen to a great altitude, high in the east, and so I turned the telescope on its most prestigious double star; Theta Aurigae. The telescope made light work of this tricky system, the faint, steely grey companion being stably held in the frosty air. A night of winter double star observing could never be complete without a quick look at Castor A & B in Gemini. Just east of the bright, near-full Moon, I had to battle with the glare a bit before centring the system in my 6 x 30 finder ‘scope. But at 260x, the twin white stars, pure as the driven snow, was a msemerizing sight in the telescope; the Airy disks small and round as buttons, each surrounded by a single, faint diffraction ring. Finally, I thought I would try my hand at 36 Andromedae, which was first found with a bit of ferreting around using the 8 x 42 binocular. And sure enough, I was able to split this 1 arc second, near equally bright pair in the telescope without much effort at 260x. However, it was better seen using the higher power of a 4.8mm T1 Nagler eyepiece coupled to the same 3x Barlow yielding 408x. I was mightily impressed with just how good and stable the image remained as it shot across the field of view at this ultra-high power. Vigil ended shortly before 11pm local time. Simple pleasures with a simple telescope! The Venerable ShortTube 80 Refractor. The author’s versatile ShortTube 80mm f/5 achromatic telescope. In my next literary project, I’ll be dedicating my time to discussing the venerable ShortTube 80 f/5 achromatic refractor; an affordable, ubiquitous telescope that enjoys a 30 year + pedigree. Tune in soon to find out why such an instrument deserves a book-length treatment………. 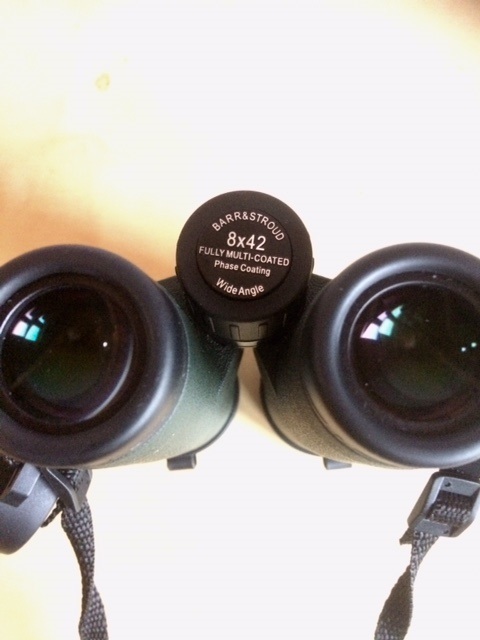 The Barr & Stroud 8 x 42 roof prism binocular. With some sage commentary from former Sky & Telescope columnist, Gary Seronik. 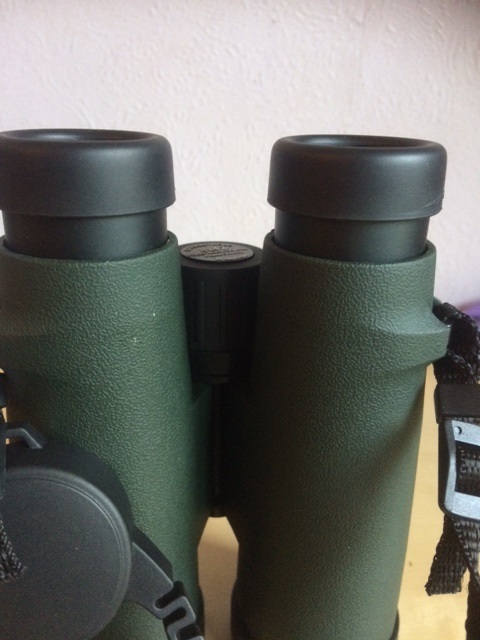 Binoculars are indispensable tools for the naturalist and amateur astronomer. Their strength lies in their ease of use, low-power, wide-field views of the Creation, whether terrestrial or celestial. In this era of high technology, there is a huge number of models to suit just about everyone’s needs, wants and budgets. Content with my old 7 x 50 porro prism binos for three decades, I came to realise recently that it would be good to get a newer model that was better suited to my life circumstances. I had grown older you see, with the result that the maximum diameter of my pupil could no longer open to 7mm. I became less tolerant of the fairly substantial weight of the 7 x 50s too, especially when I took some time out to relax on a recliner in my garden to gaze upon the heavens for prolonged periods of time. The 7 x 50s also suffered some knocks over the years and once they were fully submerged when I accidently slipped on some moss and fell into Loch Lomond lol. Luckily, though a source of considerable hilarity to my travelling companions, the ordeal wasn’t the end of the world, and though the prisms became mis-aligned, I managed to get them repaired at reasonable cost. 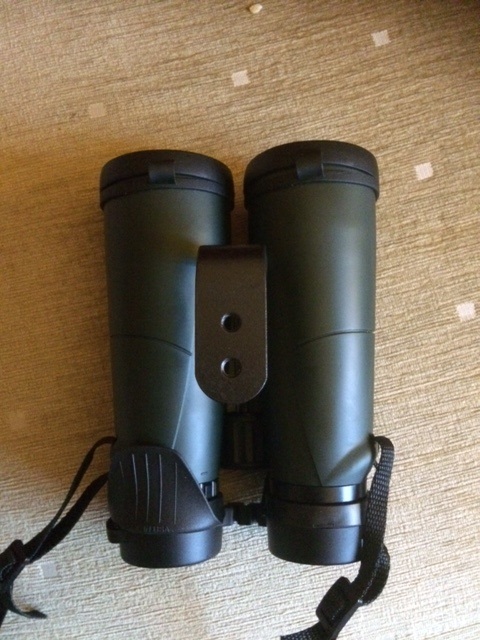 But what really catalysed my desire for a new binocular was the recent acquisition of an inexpensive 10 x 50 binocular I received in a swap (barter) for an eyepiece with a fellow amateur. At first I was thrilled with the 10 x 50s. They had a suitable exit pupil (calculated by dividing the diameter of the objective by the magnification), but they were quite heavy and owing to their ‘fully coated’ specifications, manifested significant light loss and reduced contrast owing to the presence of internal reflections when pointed at a bright light source. I knew what I wanted going foward though. 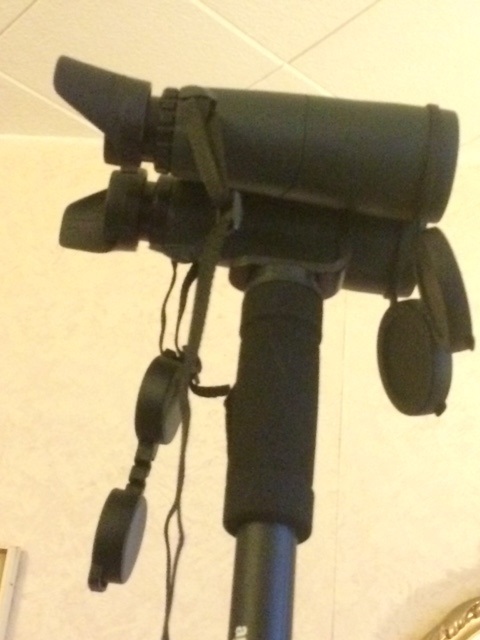 The binocular needed to be light weight but not feather-weight, as my experience with small compacts were somewhat less than inspiring. Somewhere between 600 and 700g would be ideal. The instrument had to be fully muti-coated to reduce light scattering inside to an absolute minimum. 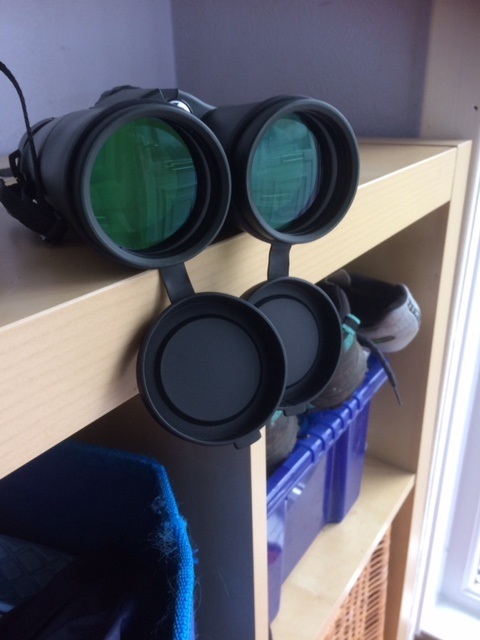 I could dispense with ED glass, as at the magnifications I intended to use the binocular at, I would be very hard pressed to see any secondary spectrum and I wasn’t going to splash out on an optical feature I could’t readily see! 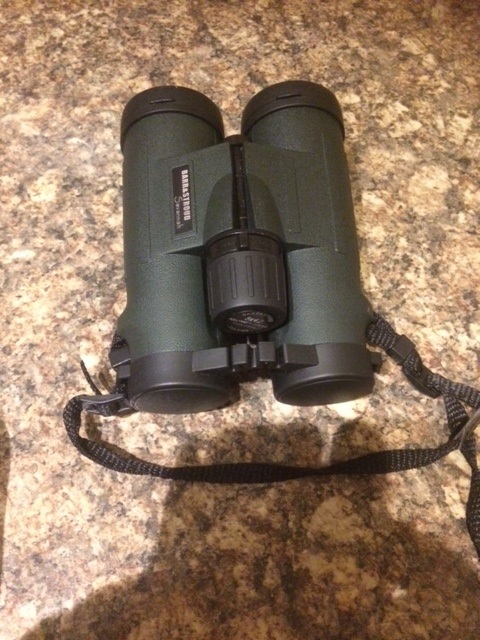 Much more important for me was that the binocular be well made and have a secure, rugged feel to them in field use. I considered field of view too; at least 7 angular degrees but not overly wide since I reasoned that although some models were being offered with impressively wide fields up to 8 angular degrees or more, they would likely suffer more from off-axis aberrations that I would notice in field use. Many of the ‘premium’ models also had features that I could readily do without as well: a slightly flatter field at the edge of the field, for example, or faster, smoother focusing that might be somewhat more important for observing fast moving wildlife at close hand; or a lockable diopter setting; those kinds of things. Waterproofing would be a bonus, for sure, but not essential, as I don’t spend my days wading through swamps in search of feathered friends lol! 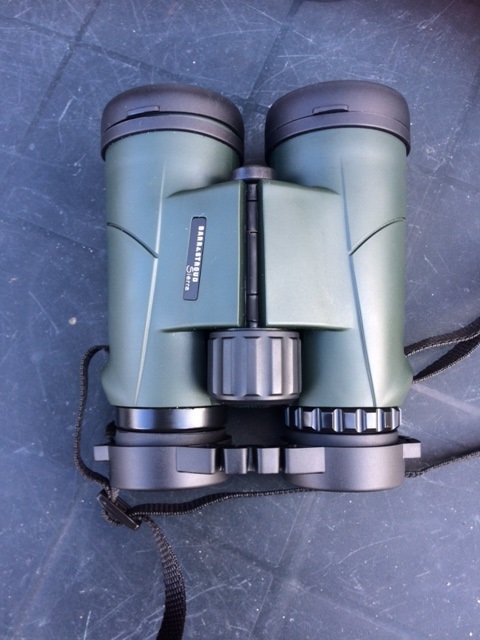 I decided that a full-size 8 x 42 roof prism binocular was the way to go. I was delighted to see that even very highly respected brands were offering many of the attributes I wanted without ED glass elements. For example, here’s one Fujinon model I considered. 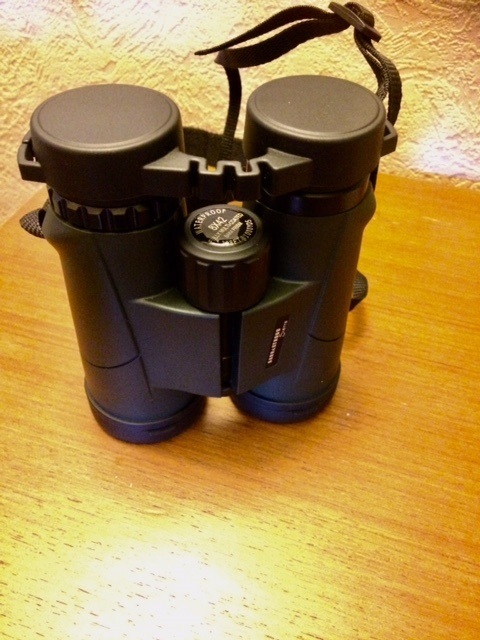 If Fujinon of Japan did not consider ED glass as an essential feature in a modern binocular, then why should I? 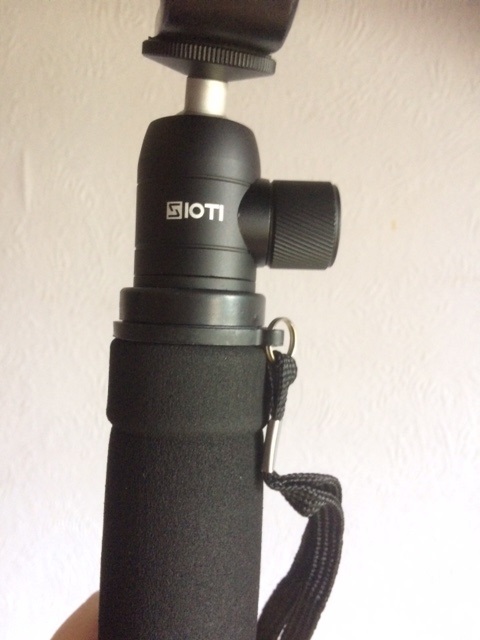 ….You can get good optics for relatively little money. So what do you get if you spend ten times as much? In terms of the actual view, not as much as you might expect. 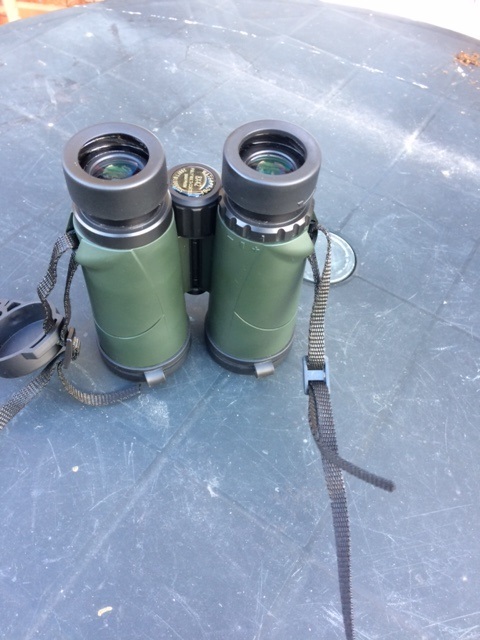 Yes, the more expensive binoculars have better optics that will deliver more light to your eyes and sharper images, but the difference is not night and day. What the extra money does buy is mechanical quality. 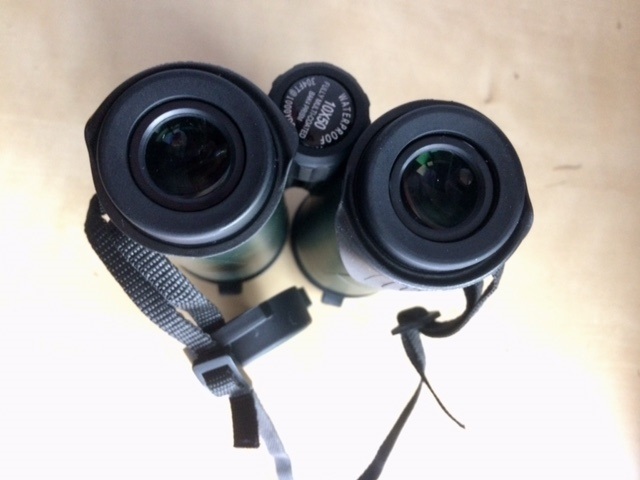 Expensive binoculars can withstand the inevitable bumps and knocks of everyday use without trouble, and having focusing mechanisms that are sure and precise. 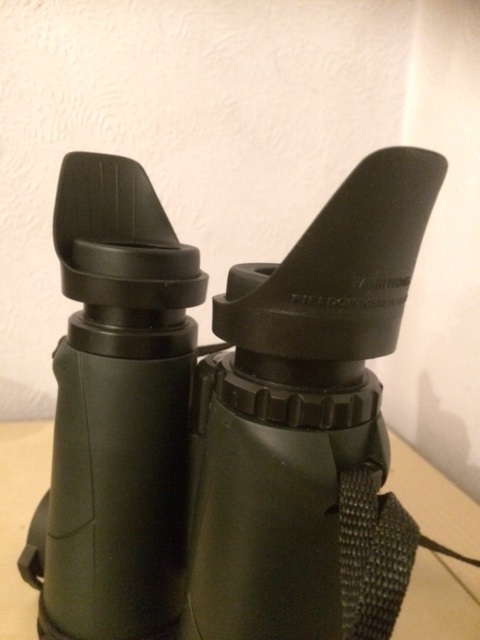 Being new to this type of binocular, I did however find out the hard way that not all roof prism binos were created equal. 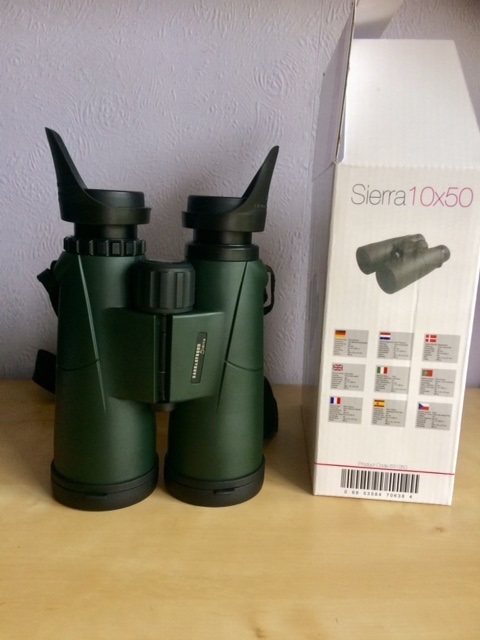 My first purchase was a model that did have everything I was looking for, save for phase-coating technology which corrects for the inherent design flaw in all roof-prism binoculars. 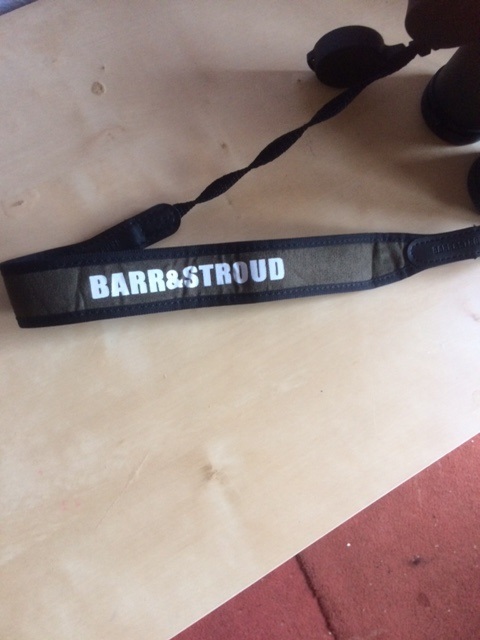 Finally, I purchased a model that did tick all my boxes; enter the Barr & Stroud Sierra 8 x 42. It’s specifications can be viewed here. The Sierra 8 x 42 came well packaged inside a handsome box. 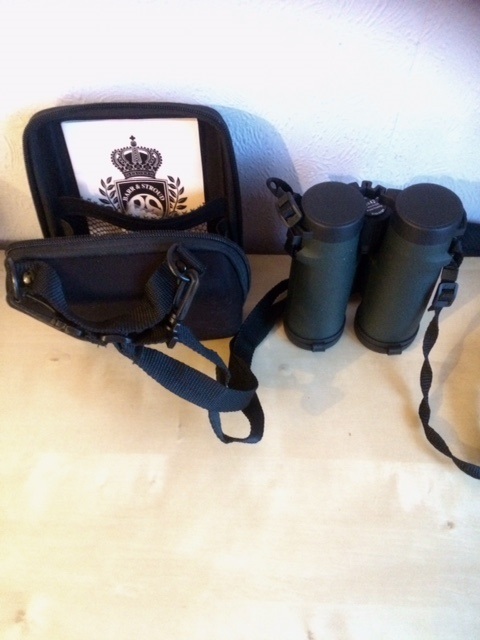 As well as the binocular, I received a lens cloth, neck strap, soft, padded carry case, a single-page instruction sheet and a warranty card (10 years). 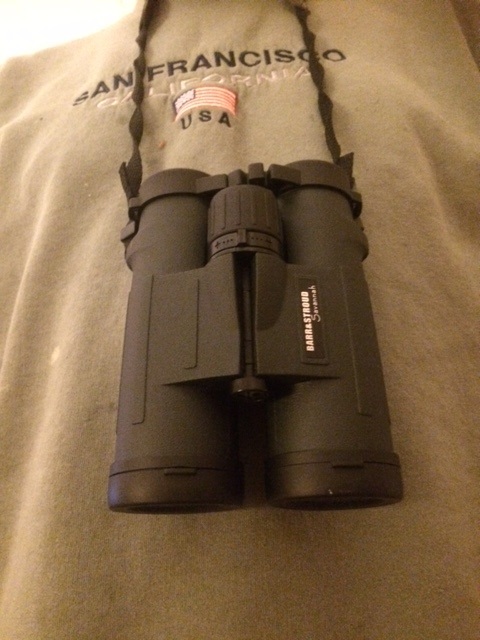 Right from the get-go, I was very impressed with the fit and feel of the binocular. The fern-green body is fashioned from polycarbonate with a rubberised overcoat. The central bridge was set at just the right degree of stiffness, ensuring that when I adjusted the inter-pupillary distance, it was rigid enough to stay snugly in place; so no need for constant re-adjustment when taking them from their case. 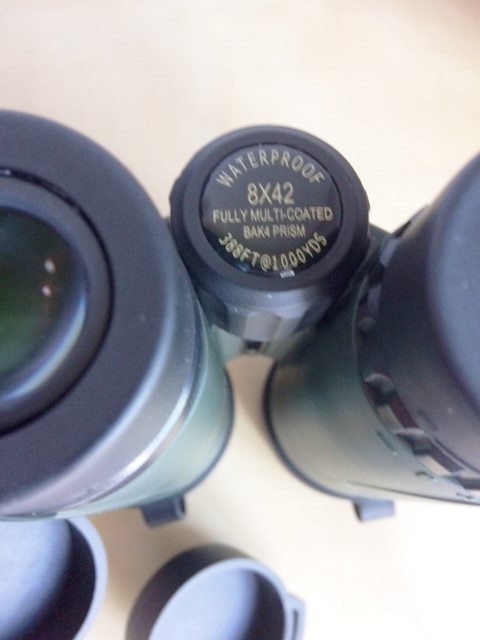 Both the objective and ocular lenses had good rubber-like caps that can be affixed to the binocular with a much reduced chance of getting lost while on the move. 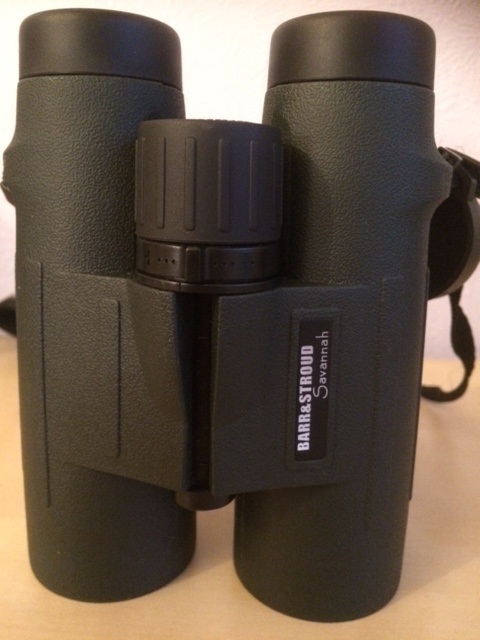 The Barr & Stroud Sierra come with nicely made, stay-on rubber caps for both the ocular and objective lenses. Very handy both in the field and during storage. Both the objective and ocular lenses have lovely anti-reflection coatings that make the lenses all but disappear when looking straight through them. The great anti-reflection coatings on the achromatic objectives of the Barr & Stroud Sierra. The Sierra come with adjustable eyecups that click up or down for use with or without eye-glasses. With its generous 17.8mm eye relief, eye-glass wearers will be able to enjoy the full field of view by keeping the eyecups in the fully down position. 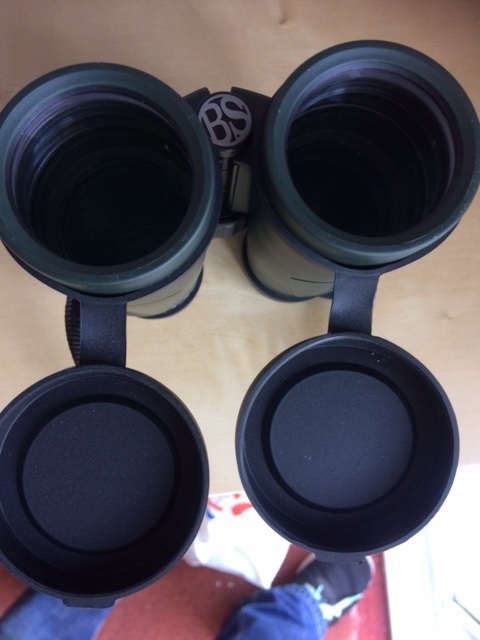 I do not use eye-glasses when observing, so I always have the eyecups twisted fully upwards. 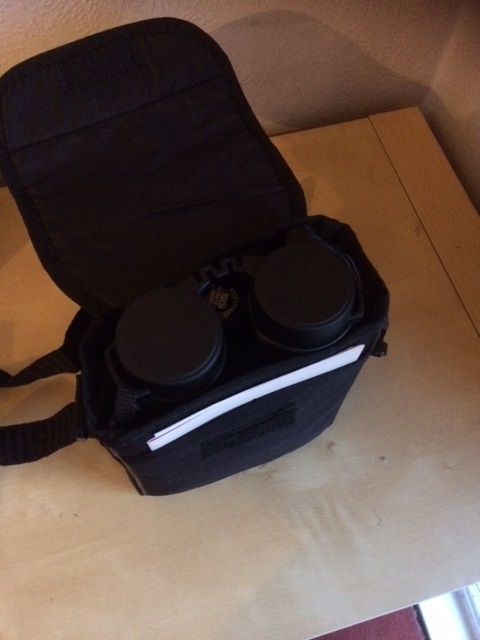 The twist-up eyecups ‘click’ into place for comfortable viewing of the entire field for use with or without eye-glasses. 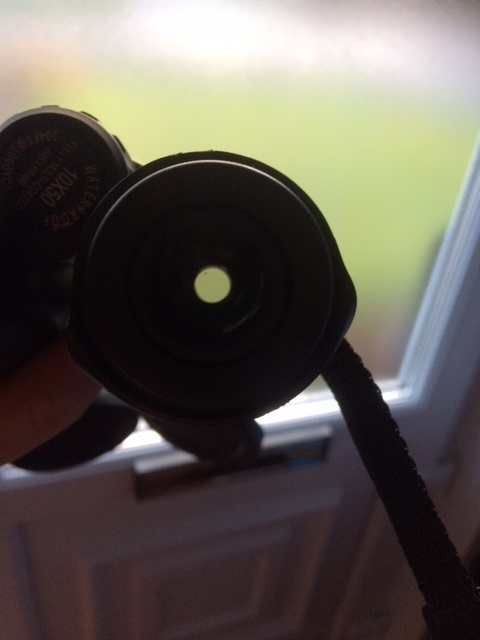 The diopter setting is located under the right eyecup. It is satisfyingly stiff and, as a result, fairly difficult to adjust. I thought this was plenty good enough for my use, as it has not budged a millimetre since I made the adjustment for my own eyes on the day they were acquired! 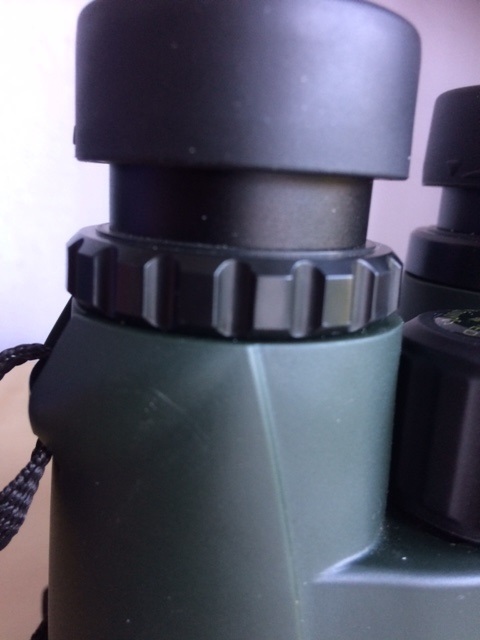 The diopter ring is located under the right-hand eyecup and is very stiff and difficult to move out of position while in field use. As the specifications reveal, the instrument is nitrogen purged and o-ringed sealed making it fog and water-proof. Since molecular nitrogen [consonant with the name ‘azote’, (meaning ‘without activity’) bestowed upon it by early chemists] is quite an inert gas, it also ensures no moisture- or oxygen-induced corrosion will occur to its internal components for the foreseeable future. Argon gas filling would have been better, of course, since it is even more inert (being a Noble element) than nitrogen and its larger atomic mass would ensure even more sluggish diffusion-based leakage over the years. But for my purposes though, ordinary nitrogen was deemed perfectly acceptable. The specs also say the instruments have been immersion tested and can withstand being submerged in up to 1.5 metres of water for 3 minutes; that’s plenty of time to retrieve them if ever an accident should occur! I’ll not be testing that by the way, lol! The Sierra 8 x 42 provide instant gratification from the moment you pick it up. It feels very secure in the hand. The view is very clear and sharp and colour rendition sensibly perfect. The factory collimation was spot on. The focus wheel is very responsive and smooth allowing you to zoom in on a subject as close as 6.5 feet all the way out to infinity. If you look carefully at the edges of the field, there is some softening of the image as well as a trace of chromatic aberration but not enough to distract the vast majority of users. Examining a horizontal roof at 30 yards distance revealed very little pincushion distortion. Comparing it to my old 7 x 50s revealed something rather shocking; the image was actually brighter and sharper in the Sierra, despite it having smaller objective lenses ( 42mm as opposed to 50mm). I attribute this to solid advances in the application of better coatings to all optical components and superior baffling of stray light in the roof prism binocular. 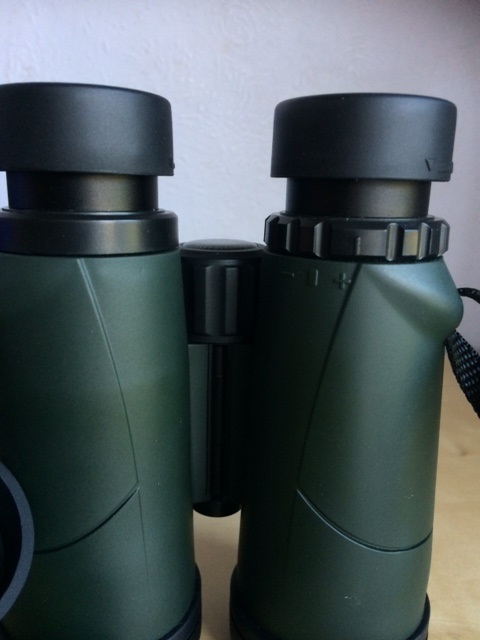 Focusing on the middle distance, the binocular provides very impressive depth of field perception but maybe not quite as good as that provided by their porro prism-based counterparts. Definition of daytime targets is excellent. It presents autumn leaves in their beautiful colours and focusing in on tree trunks showed up its wonderful textured grain. I can easily carry them round my neck for many miles and with little in the way of neck strain. 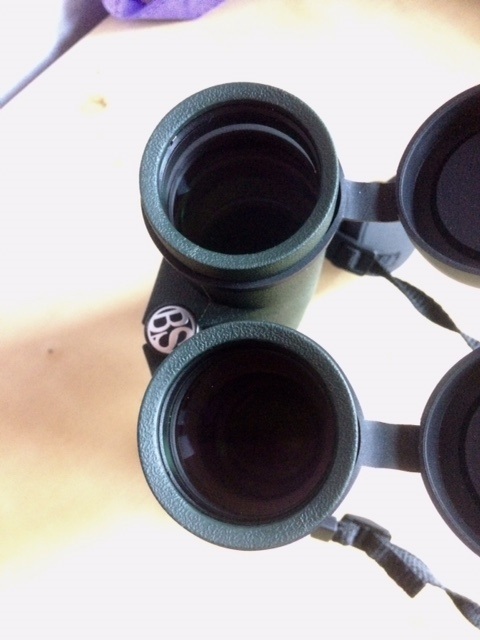 The binocular can also be attached to a tripod if need be using the 1/4-20 threaded socket found under the B&S logo at the front of the bridge. 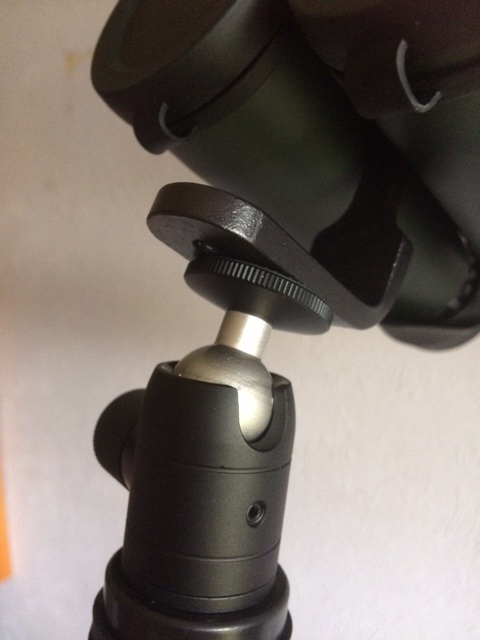 Just unscrew the plastic cover and screw in the tripod adapter. As a rather severe test of how well stray light is managed in the binocular, I pointed it at the full Moon. The inexpensive 10 x 50s showed clear evidence of internal reflections producing annoying glare in the image and thereby reducing contrast. 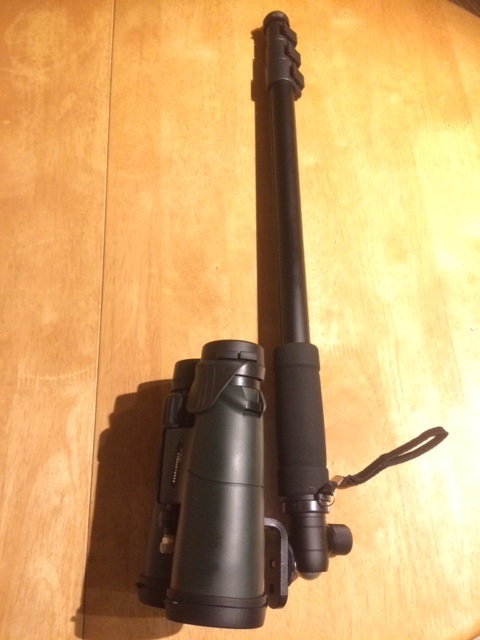 To my relief, the Sierra 8 x 42 showed very little in comparison indicating that stray light was being very well controlled. A week after full Moon, I examined a rising last quarter Luna and again, the image was very impressive; there being very little glare and contrast remaining very high. The only false colour I could see was attributed to atmospheric refraction. The battered southern hemisphere with its vast crater fields stood out well, as did the contrast between the brighter and darker maria. I particularly enjoyed seeing the wonderful earthshine from the dark hemisphere of the Moon which made the view all the more magical. Continuing my adventures with the Sierra under the stars, the binocular has a wide field of view (7.33 degrees), allowing you to take in generous swathes of sky. Stars focused down to tiny pinpoints across the vast majority of the field, with only the edges of the field showing a slight softening and the merest trace of lateral colour. I judged the contrast to be very good. Confident that I had indeed obtained a very good binocular, I relaxed and just enjoyed the magnificent views it served up of large deep sky objects; the Hydaes was wonderful and filled the view with lots of room to spare, the Alpha Persei Association was spell-binding with many dozens of hot, white stars assaulting my eyes. The Pleiades was a beatufiful sight to behold. Bright stars such as Aldebaran, Capella and Vega faithfully revealed their true colours (orange, yellow and blue-white, respectively).Running the binocular through the Milky Way in Cygnus and Cassiopeia was a joyous experience and proved quite overwhelming to this tester. The Sierra 8 x 42 will be an excellent new tool in my arsenal of optical instruments. It will complement the detailed, close-up views served up by my telescopes. 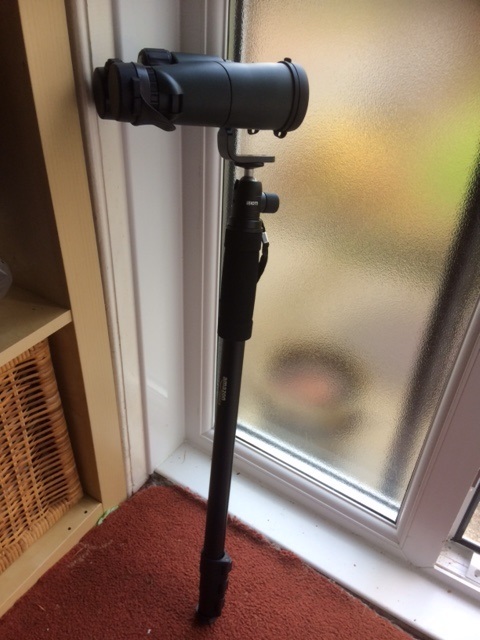 The binocular will be accompanying us on our up-and-coming family vacation to the Solway Firth in southwest Scotland next week (commencing Monday October 15 2018) together with my 130mm f/5 Newtonian travel ‘scope. 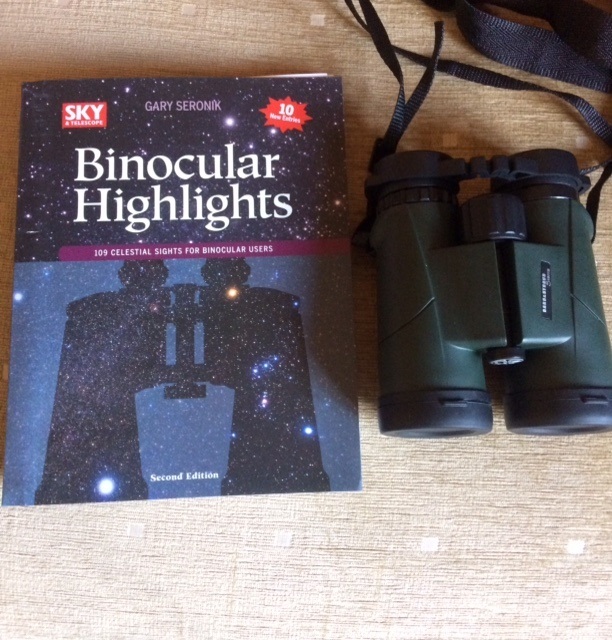 I heartily recommend this binocular to amateur astronomers, nature watchers, for those who love poking around the landscape, or as the perfect optical accompaniment for a day at the races. It will offer up very satisfying performance at a price that won’t break the bank. It provides excellent value for money and, if properly cared for, provide a lifetime of wonderful views. 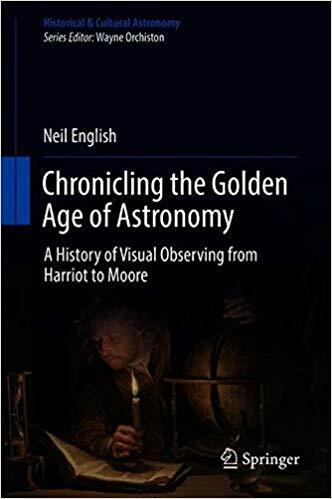 Neil English’s new book, Chronicling the Golden Age of Astronomy, explores four centuries of visual telescopic astronomy, as well as the pantheon of colourful characters who helped shape both the hobby and the science today.